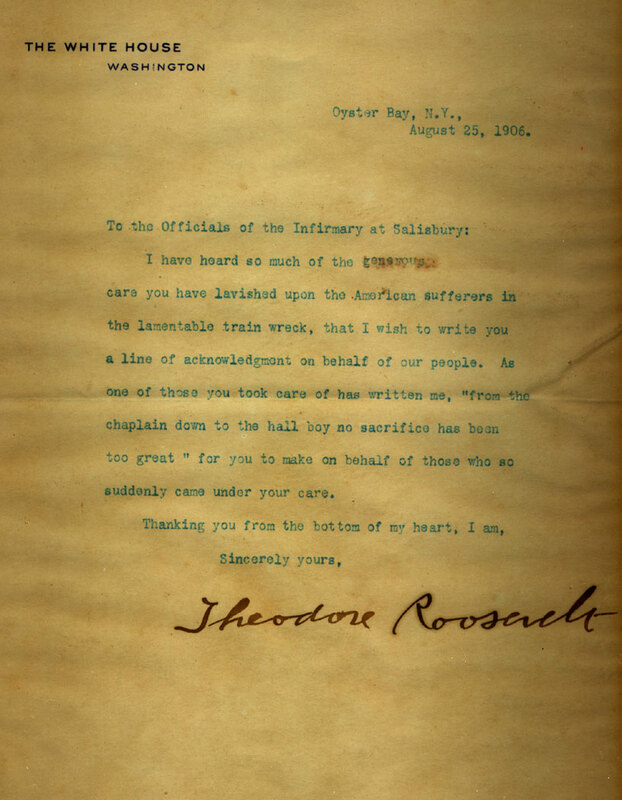 A letter in the hospital’s archives, written by US President Theodore Roosevelt dated August 25th 1906, recalls the aftermath of the worst transport accident seen in the county. On the 30th June 1906, passengers from the transatlantic liner SS United States landed in England and were transferring from Plymouth to London by train. There was much competition between boat-train companies at the time to get passengers as quickly as possible to London from the docks. 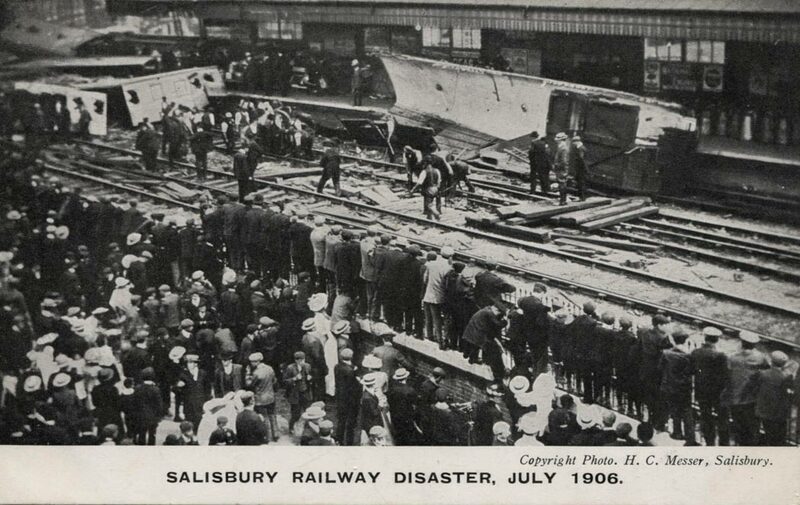 So much so that, in the early hours of 1st July, the train sped through Salisbury station at nearly 70mph, derailing and colliding with an oncoming milk train. There were 28 fatalities and dozens of people injured, many of whom were US citizens. 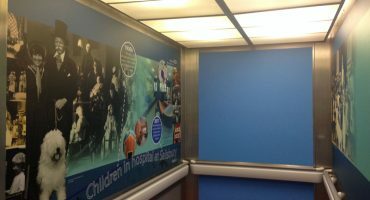 They were taken to Salisbury General Infirmary for treatment. 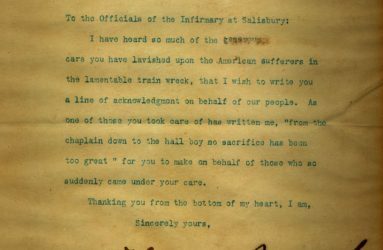 Records for operating theatres at Salisbury Infirmary show that Dr Luckham set and plastered 2 patients with broken legs on 1st July 1906 – W Harding (38 years) and Margaret Rusk (52 years) – maybe these were casualties of the train accident? There is a Dudley P Harding listed on the casualty memorial in Salisbury Cathedral, a relative perhaps of patient W Harding. A postcard in our collection shows the crowds on the station platform in the aftermath of the accident. 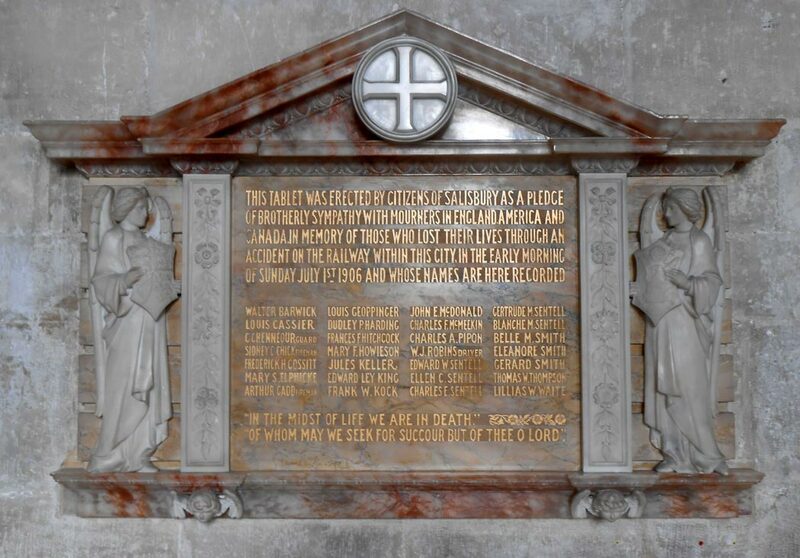 ‘On the night of Saturday, June 30th, after the railway accident at the London and South-Western Railway Station, when the American Steamboat Express from Plymouth was derailed, 15 cases were admitted at 2.30 on the Sunday morning. Of these four died either immediately after being attended to, or within a few hours, and one succumbed on July 14th, before this Report was written. 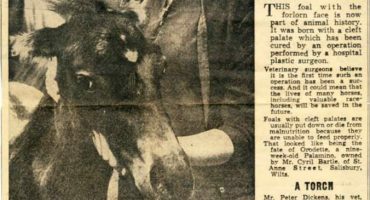 The Staff of the Infirmary are to be commended; the strain was met without confusion or delay, and the testimony of the surviving patients and their friends amply proves the value of the Institution and the very high state of efficiency attained by the Staff. 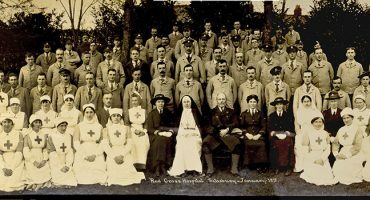 Public acknowledgement is due to one and all, from the Senior Surgeon to the Junior Probationer, and not least to the Chaplain, who rendered most valuable service in undertaking to meet the many friends of the patients, and to answer all enquiries. The Committee beg to record their appreciation of the many gifts sent to the Infirmary – fruit, vegetables, literature, &c. They thank the Infirmary League for collecting £190, the South Wilts Needlework Guild for gifts of house linen and garments (575 articles) and Mrs. O. Robinson, of Redlynch House, for kindly arranging a day’s outing for the Nursing Staff. Perhaps the Mrs M A Harding who donated £5 is related to the Harding who had their leg set by surgeon Mr Luckham or the Harding on the memorial plaque?